I purchased a laboratory style stirrer / hotplate with PID temperature controller for some experiments. Above, the 85-2 product from Chinese maker XB. It certainly looks the part and for under $100 looked impressive value… but was it? First thing with ANY Chinese appliance is to test the electrical safety. Prior to a full PAT test, I plugged it in on an insulated work space and waved a non-contact voltage detector over the case. Beeeep! The case is hot. Earth continuity (earth pint to case) is zero, there is no connection. This came with an AU plug… so lets look inside at how they wired it up. The green yellow earth wire is floating look, the end has been tinned so it was or was intended to be soldered to something. The end of one of the screws holding four rubber feet on is more silver coloured than the others, so it appears to have been tacked on to that. Three issues: the screw tension is cushioned by the rubber foot and pressure to case is low so it would not be a reliable low resistance connection; soldered ground connections can melt off in a fault and are unacceptable practice; and the even this had become disconnected and would not have passed a basic electrical test. Chinese Quality! So with the cover off, it is apparent just a few months after this May 2017 dated build has been put together with rusty steel. 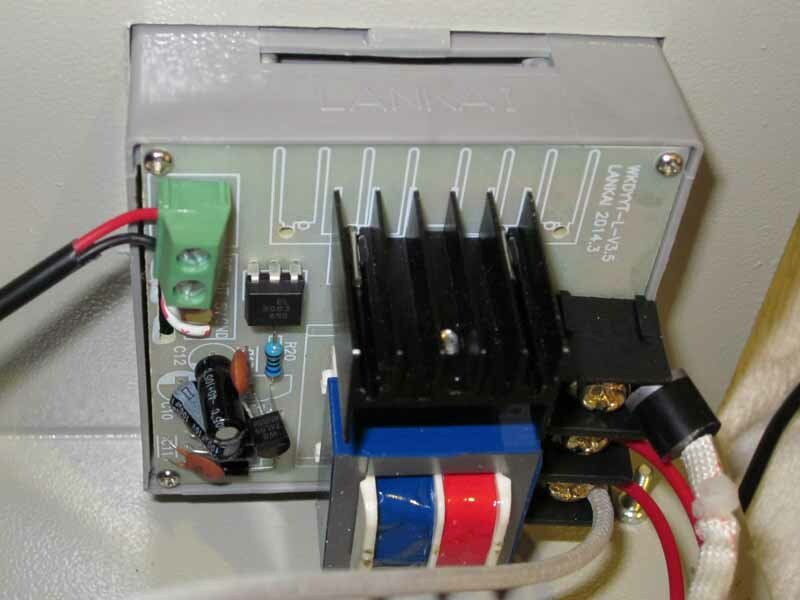 Above is the rear view of the LKTC-B1-T temperature controller. 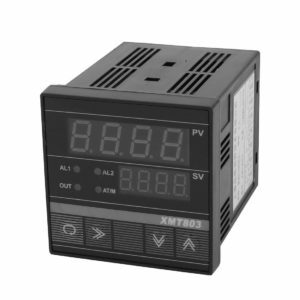 It is a PID controller that has an integral SSR or equivalent to switch the load. 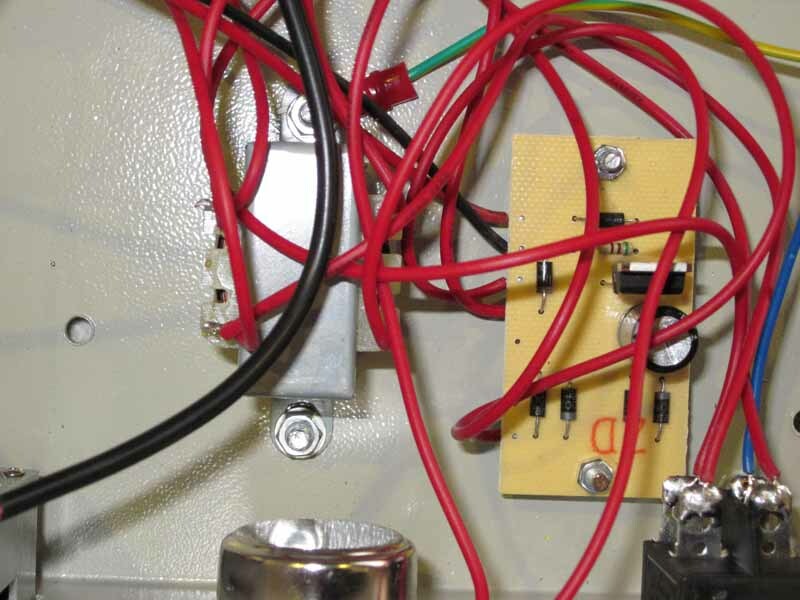 Note the diode wired to the upper right terminal, that is allow the use of a 110V heater element on 220VAC… shonky. I would not buy anything with a controller that looks like it is from the same maker. 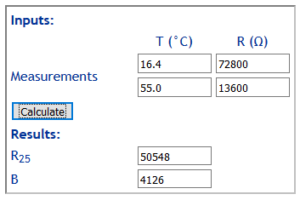 The temperature sensor has high resistance which decreases as it warms in the hand, probably an NTC thermistor. Above, a quick check of it at two temperatures suggests it is probably a nominally 50k/3950 thermistor. 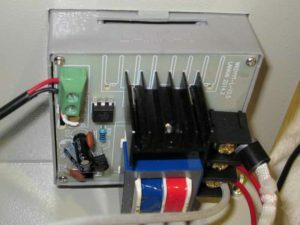 The other element of the system is a small regulated power supply for the stirrer motor, its speed controlled by a pot. The rewired ground terminal can be seen under the transformer fixing. The cable restraints were simply a knot tied in the cable, not good enough. Chinese Quality! The mains one was replaced with a P clip to hold the cable secure, the other will be reworked when the controller is replaced. The supplied manual is in Chinese, the seller offered no help, another seller had a rude translation which was not very helpful. Chinese Quality! It is a PID controller, there is no doubt. It was easy enough to find the P parameter, but not apparent I or D parameters, but there was a c parameter (combined?) which appears to influence both I and D action, so it is probably I and D is automatically proportioned from it (eg D=I/5). Above is a test run logged separately. The test started with a beaker containing 500ml of water at 20°. At 25min into the test, 50ml of water at 20° was added to the beaker to evaluate the step response of the system. It is notable that there was a significant overshoot on initial warm up, and the purpose of a PID controller is to not have fast response without overshoot. Similarly, the response to the step load has overshoot, and the controller oscillates. The P value has already been changed to help stability. Chinese Quality! The whole thing is very slow, about 30s dead time and time constant Τ is about 3000s. The thermistor probe is a significant part of the dead time, the response of the thermistor data logger is considerably faster than the PID controller. Note that during the time it is oscillating by about 1°pp, the PV (process value) display is fixed on 40.0°. Sometimes the display follows the liquid temperature (OV), sometimes it pretends it equals the set value (SV) There is either a conincidental unintentional bug in the firmware that causes this, or it is designed deception… I favour deception over coincidence as the likely explanation. So if you have one of these things and it seems very stable, measure it independently, you may have been tricked. Chinese Quality! The one failure that condemns the controller is its failure to reliably display the PV. Nextly, it is a poor regulator of temperature (which is hidden by its fraudulent display). 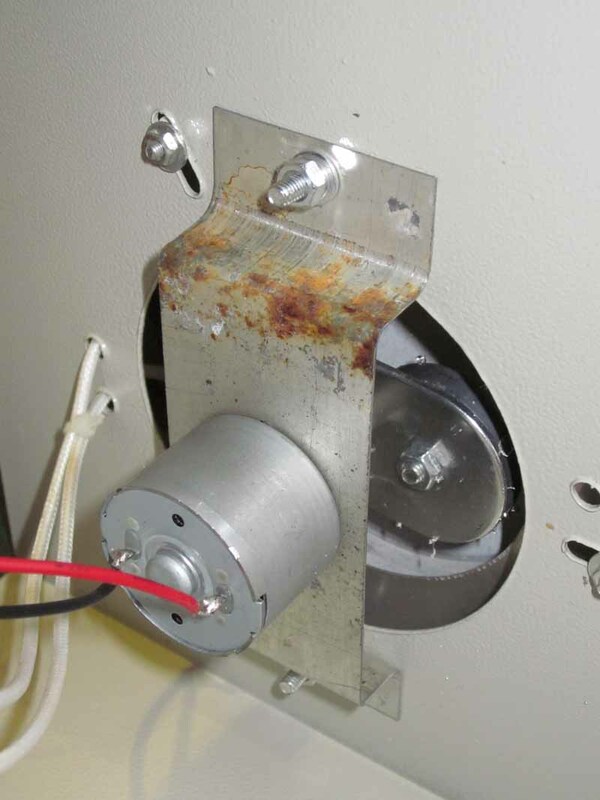 Because of the defects in the PID controller, it will not be part of a final solution. 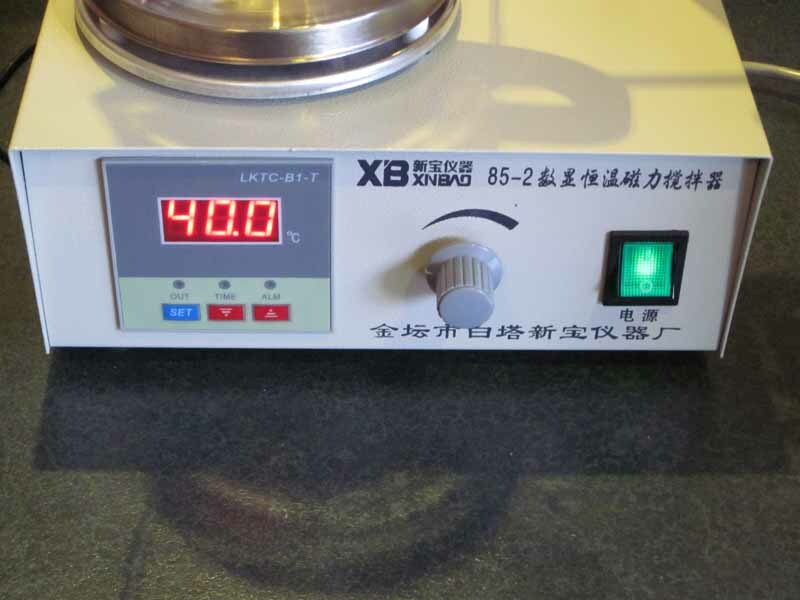 I have ordered another PID controller, and with a 10A SSR and Pt100 temperature sensor in stock, I will rework it and expect much better thermal regulation and an informative PV display. Above, the replacement PID controller to fit the existing aperture (which is not a standard DIN aperture, it is 68x68mm) and which supports Pt100 and K thermocouple (amongst others).